In order to try out 160M, I put up an inverted "L" and adjusted the length to resonance using an antenna analyzer (FA-VA4). 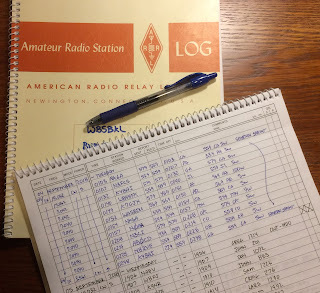 My frequency of choice was 1810 KHz - to match my QRP interests. 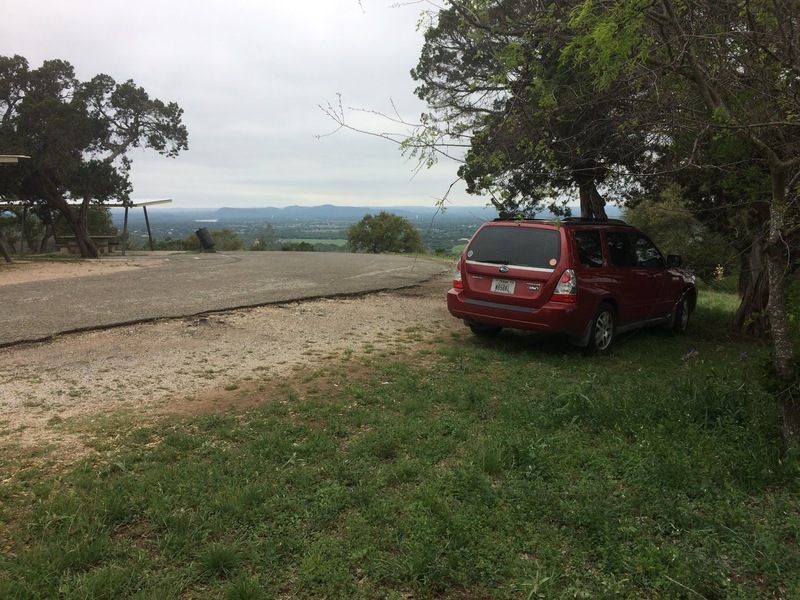 At this writing, I have 12 radials at the base, with various lengths of 15 to 40 feet over very rocky soil (granite, gneiss). I did no modeling - just threw up some wire that fit my physical situation. 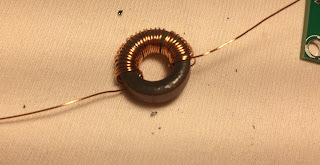 Impedance at resonance was around 24 Ohms. 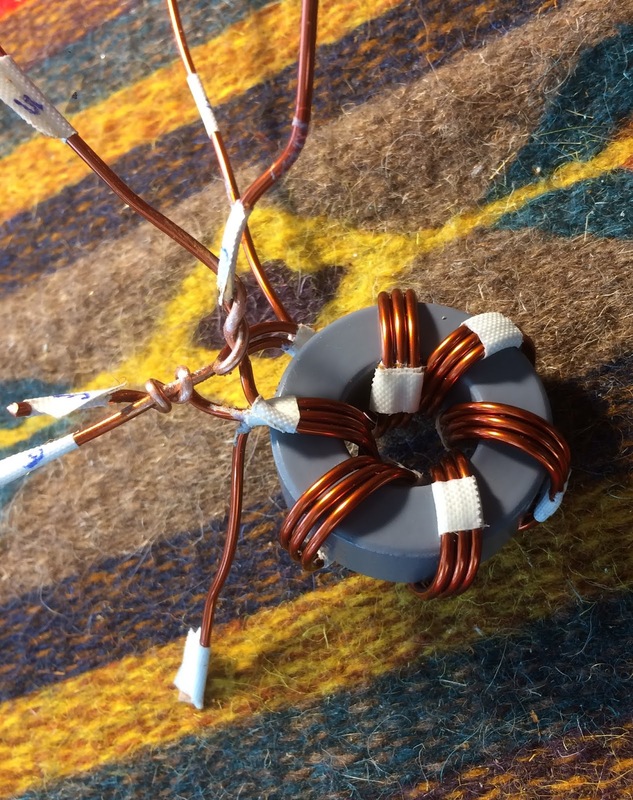 I wound a test transformer on an old toroid of unknown characteristics just to see if I could get close to a 50 Ohms match. 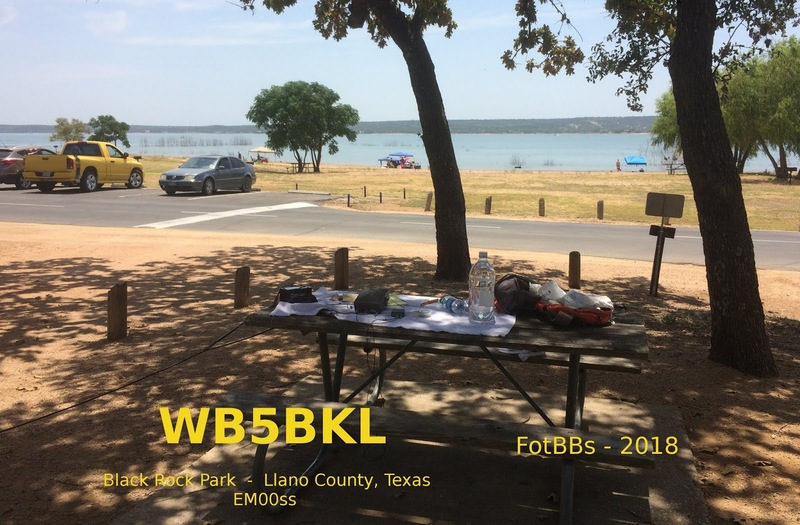 That was successful and I even made several contacts at QRP levels. To the right is the toroid as wound. Sevick notes that the #14 takes some effort to wind and suggests leaving long leads on each end for leverage. Good advice. 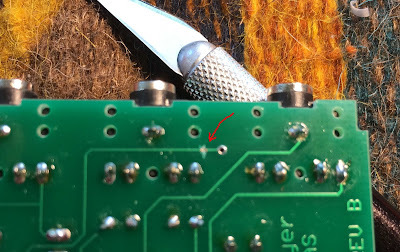 The image below shows (unclearly - sorry) the connections before soldering. 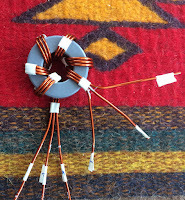 And here is the wired version with the "proof of concept " un-un to the left. 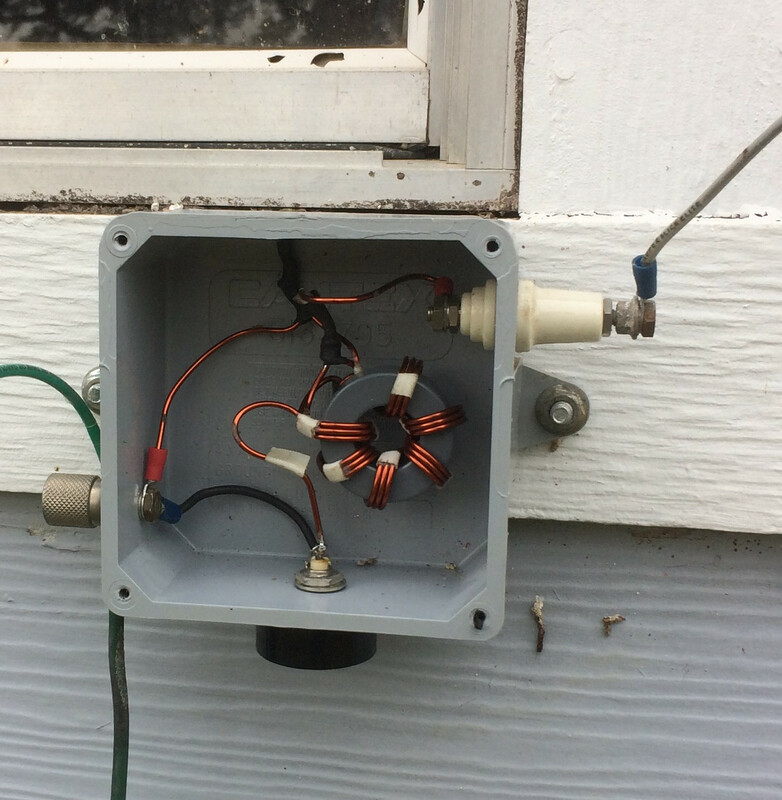 The box is an outdoor junction box (with water-sealed lid, not shown) that I picked up at a local big-box store. Pretty handy. And here it is as installed. The BNC feed to the shack is at the bottom, the inverted "L" connects to the right and the ground and radials to the left. So far, I am very pleased to get something cheap and easy working for 160M. This might not be the best antenna, but for my circumstance it is up and working. 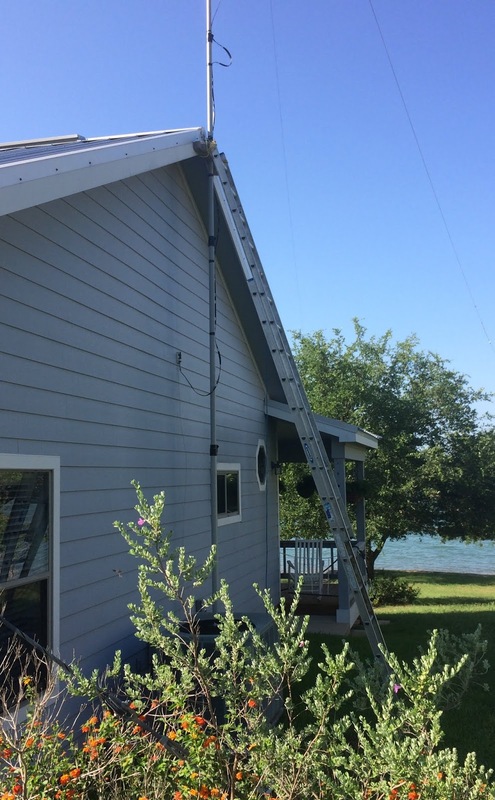 At 1810KHz, the antenna presents a SWR of about 1:1.1, rising quickly away from that QRP frequency. I do appreciate Mr. Sevick's work. 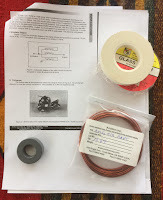 Two more mods for my 30M QCX. I have already completed several mods, as detailed in QCX - 30M Transceiver . The final one I did last year was intended to increase the power output, but was only marginally successful. 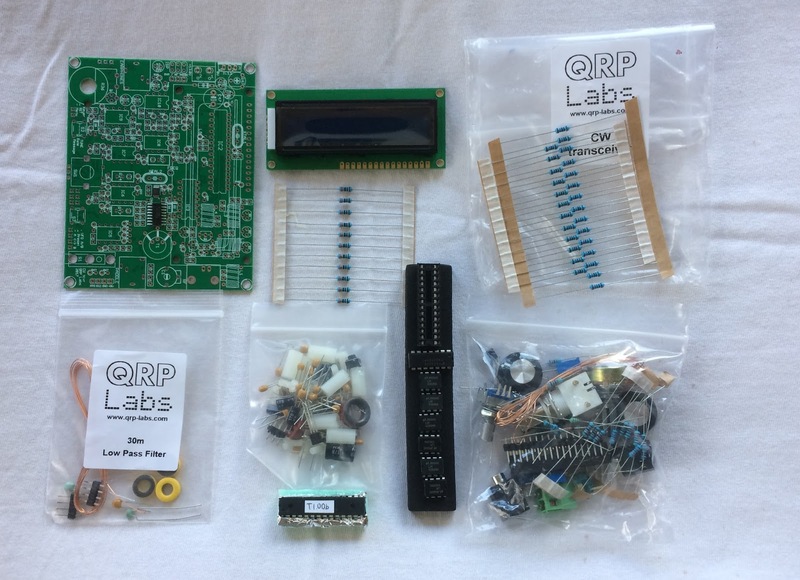 Recently, I purchased a 20M QCX, but after finishing construction, I found that the ATmega328P microprocessor was not working. Hans, at QRPLabs, had seen this problem before and was happy to send a replacement - and I ordered an additional latest firmware chip for this 30M rig. While waiting on the replacements to arrive, I elected to replace the capacitors in the low-pass output filter. I replaced C25 and C26 with 560pF silver micas and replaced C27 and C28 with 270pF silver micas. 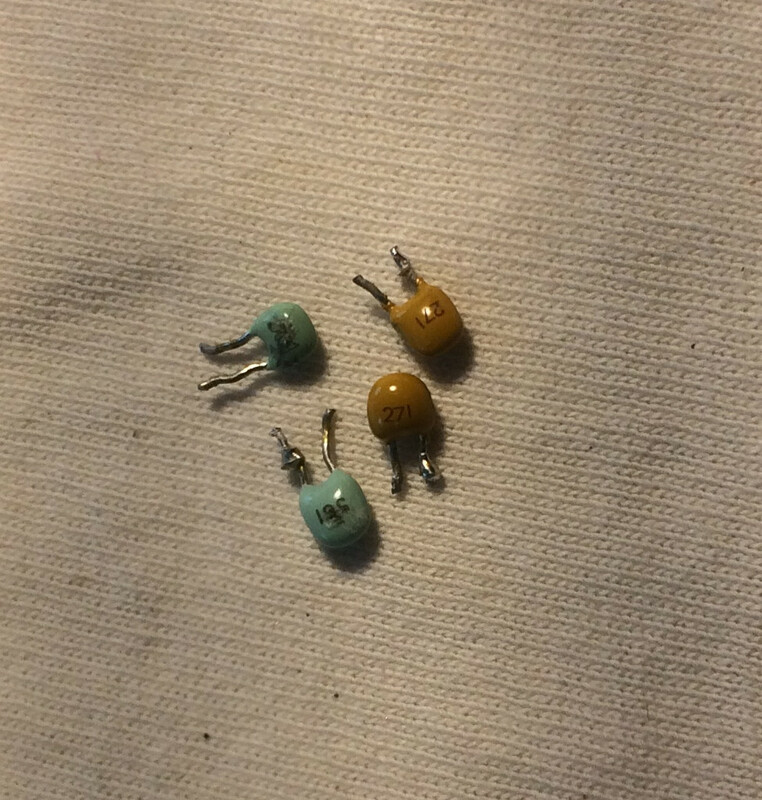 These capacitors were huge compared to the originals - so I had to get creative in placing them. Note that C27 and C28 had to move to the bottom of the PCB - and were tilted slightly to provide clearance for the enclosure. I am fortunate to have a low-priced but effective solder-sucker that I bought some years ago. This would have much, much more difficult without it. Here are the parts I removed. The largest is about the size of the head of a kitchen match. I used silver micas as I had the correct values for the 30M QCX on hand. Just as I was completing this modification, the replacement microcontrollers from QRPLabs arrived - with firmware version 1.00f. 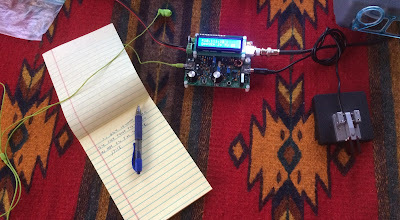 The only volatile information that I wanted to keep was the correction for the 27MHz frequency reference (Entry 8.5: 27.004.550), so I made a note of that and replaced the 1.00b firmware with 1.00f. As expected, no re-alignment was really needed, but I touched it up anyway. After all these changes, I now have 3.4W out measured with the same equipment as earlier. 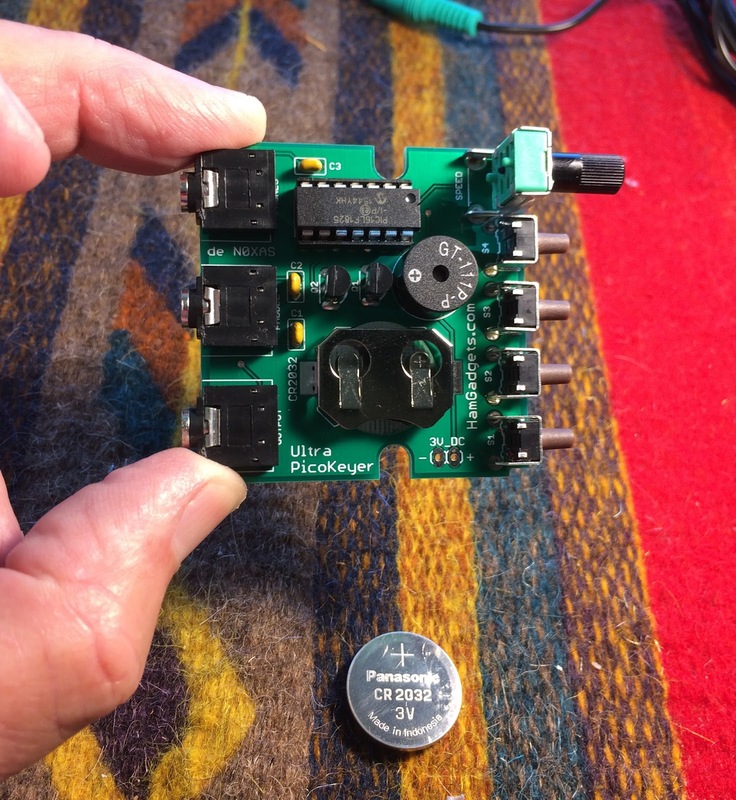 This is just about what the designer predicts, given my 12.4V motorcycle battery power supply and the polarity protection diode. I am pleased and will call this good for now. 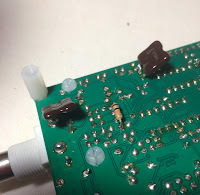 My thanks to W5IQS for suggesting mounting the capacitors on the bottom of the PCB. And to Hans, of course. The more I use this little rig, the more I like it. 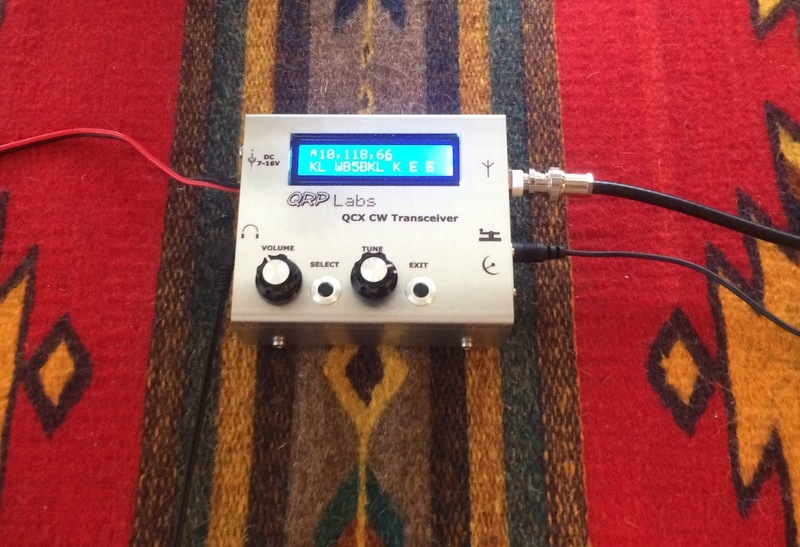 Here is an image of the 30M QCX in its new enclosure. 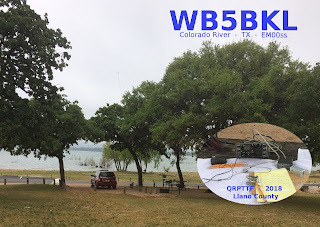 * There is a impressive video of a QCX build here by IZ7VHF. Worth a look if you are considering the QCX. * The local big-box office supply store wanted more than the list price of the QCX to print a color manual - even just B/W was more than Hans charges for the kit plus shipping. I put the manual on an old iPad and propped it up near my work area. I only printed the inventory pages, the section concerned with winding of T1 and the Cheat Sheet near the end of the manual. I had the Cheat Sheet laminated. * If you use something like an iPad or PC to display the manual, all the illustrations can be handily expanded. * I used a pair of binocular magnifying glasses. Also very handy. * I would strongly advise a complete inventory of all parts (also see below). 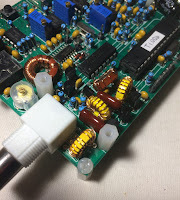 I had one extra capacitor. * I would also strongly advise organizing - at an absolute minimum - the capacitors and resistors by value. Muffin tins would be nice (and would only take moments to wash and slip back into the kitchen). If you are fortunate enough to have a workplace that will remain undisturbed, at least draw circles for each value on a piece of cardboard and stick them in that. * All of my placement errors were with the resistors. I strongly advise the hint above, and re-checking the color codes against each other and the inventory listings. Use a VOM to resolve problems with color resolution. Slight color (colour?) blindness runs in my family. * With my tired, old eyes, I found it hard to count the turns on T1. I ended up taking a photo with my phone, transferring it to my PC and enlarging it on-screen. I had one turn too many on the S3 winding. 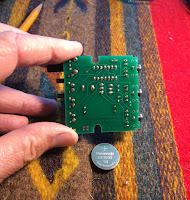 * When you cut the small connectors apart, I would strongly advise covering the connector and tool with a cloth. My first cut ricocheted off the wall, then the bookcase then my chest. Miraculously, I found it in the work area after an extensive search of the floor. Of course, use eye protection. * Take Hans' suggestion and orient all the parts either the same way or at least in such a fashion that the values can be read later. Remember that this project will be very crowded at the end. * The page breaks in the manual are occasionally unfortunate. Be extra careful when the instructions and the illustration are on different pages. As mentioned earlier, the illustrations in the Manual I downloaded to my iPad can be enlarged when clicked. * From my experience with SMT projects, I now have a large, cheap aluminum foil cookie sheet with a properly sized piece of white cotton cloth taped inside. Very handy. If you ground it, even better. First impressions - the receiver is HOT! I am impressed. 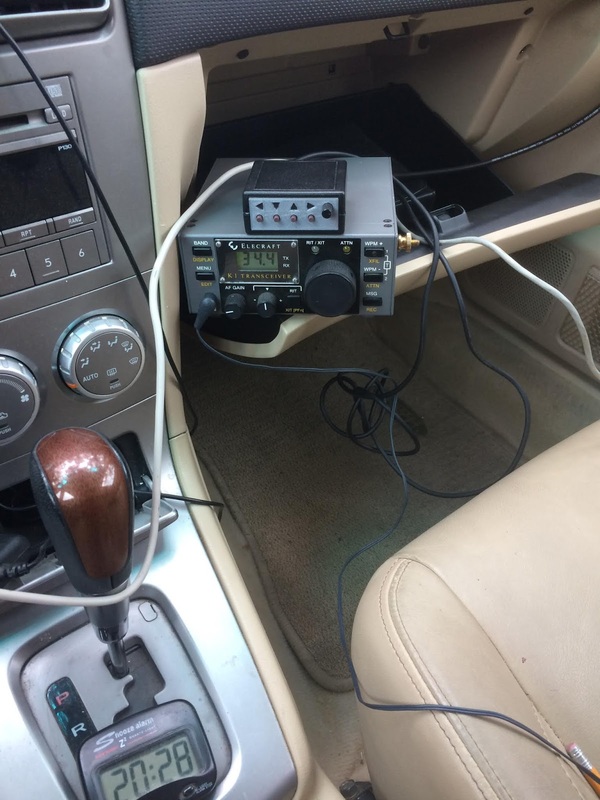 The QCX seems to hear almost everything my K3 does. Power output was low - measured externally at about 1.4W. 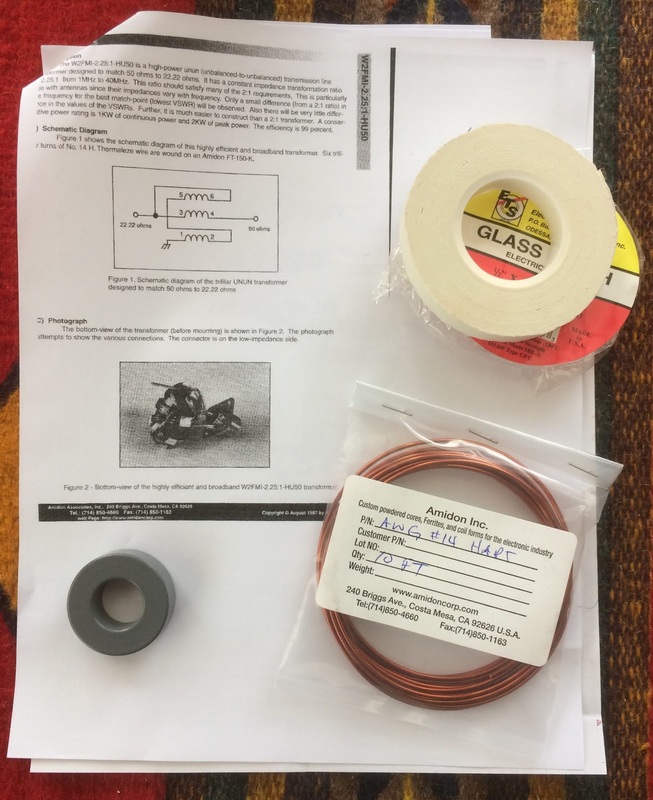 I spent some time reading the QRPLabs e-mail reflector and then followed Hans Summers' recommendations for mods to the QCX. Here is a listing of the modifications I made. Before and after each change, I made a series of measurements. First was a 5 second key-down followed by a 15 second rest, then repeated twice more. Then a 30 second key-down, followed by a 1 minute rest , then repeated twice more. I am reporting averages of these measurements. 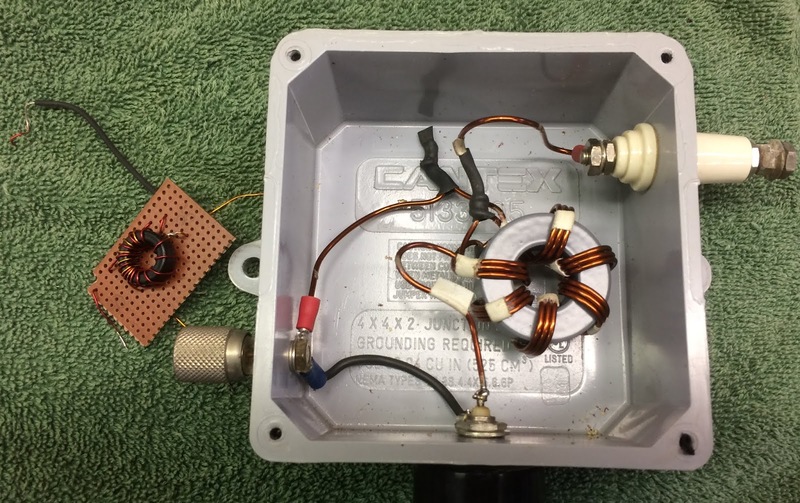 Power was measured independently of the QCX with a 20W Elecraft 50 Ohm dummy load. I also recorded the supply potential. I did the mods in two stages, mostly because the changes to L1, L2 and L3 were a little tedious. 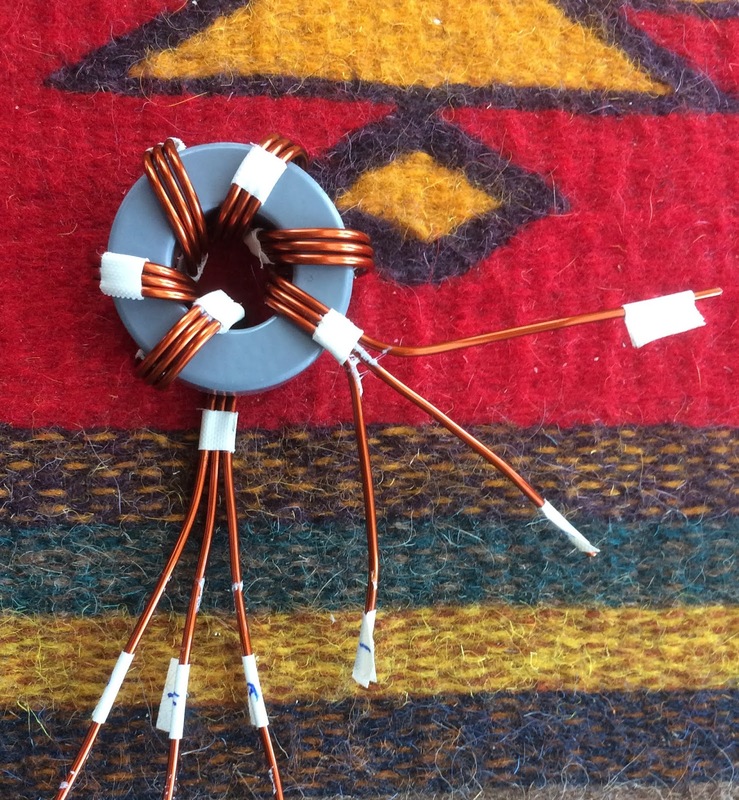 The image below shows the diode and resistor addition to the bottom of the PCB. I think (but do not know) that the removal of one turn from the low-pass filter did not do much. I think the addition of the 10K Ohm resistor and the change to the MPS751 did a little good. 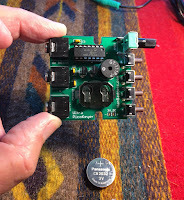 At this writing, I am satisfied enough that I will await more information from the designer before diving into the circuit board again. As it stands, 2W seems to do well on 30M given reasonable propagation. The Reverse Beacon Network seems to hear me just fine. 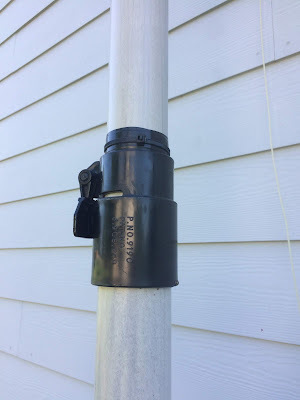 I have been using the AA0ZZ EZKeyer II for several years (see my earlier post). It has worked well with my K1, which I typically use portable. There are shortcomings, however: No easy speed control and only 3 memories. 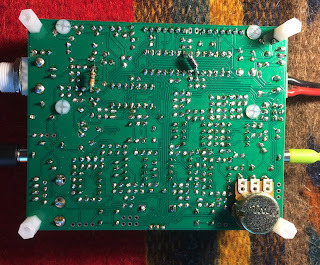 I tried a keyer with 8 memories, but had so many problems with missing, broken or incorrect parts, odd i/o design and sporadic support that I gave up - sadder but wi$er. Then I found the Ham Gadgets Ultra PicoKeyer. The price was right - and I could even chose a color! Woo-hoo! 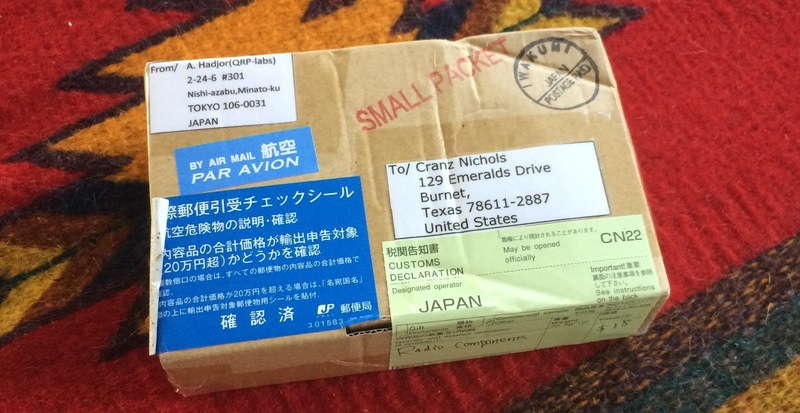 The construction was pretty easy (and the manual is very good). It was ready to go in under two hours (I work very slowly). After several tries and careful inspection - to no conclusion - I decided to give it a try with my K2. Again semi-gibberish. More experiments and some searching of the Elecraft e-mail list archives suggested that the 'ring' connection was live. Note: Elecraft requires a 1/8" three-conductor (stereo) plug for CW input to their K1 and K2 transceivers. If used in straight key mode, nothing can be connected to the 'ring', just the tip and the shell. Straight Key mode allows control by an external keyer. I sacrificed a cable and opened the 'ring' wire. Everything worked just fine! How odd. Since it seemed to be the cause of the problem, I cut that trace. Success! Everything worked normally for both the K1 and the K2. 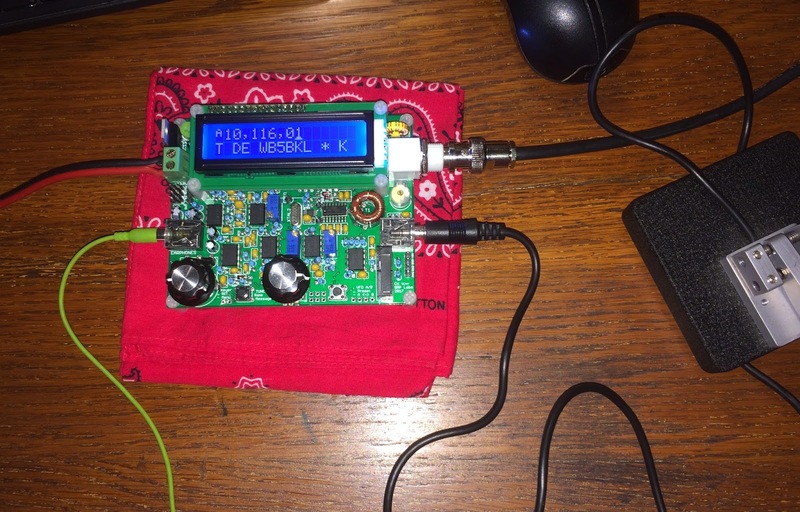 I did communicate my findings with Ham Gadgets, but I am not sure they fully understood the issue when the PicoKeyer was used with these Elecraft rigs. 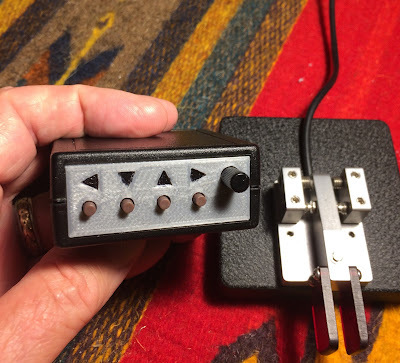 I filled in the embossing on the front of the keyer. Looks nice. 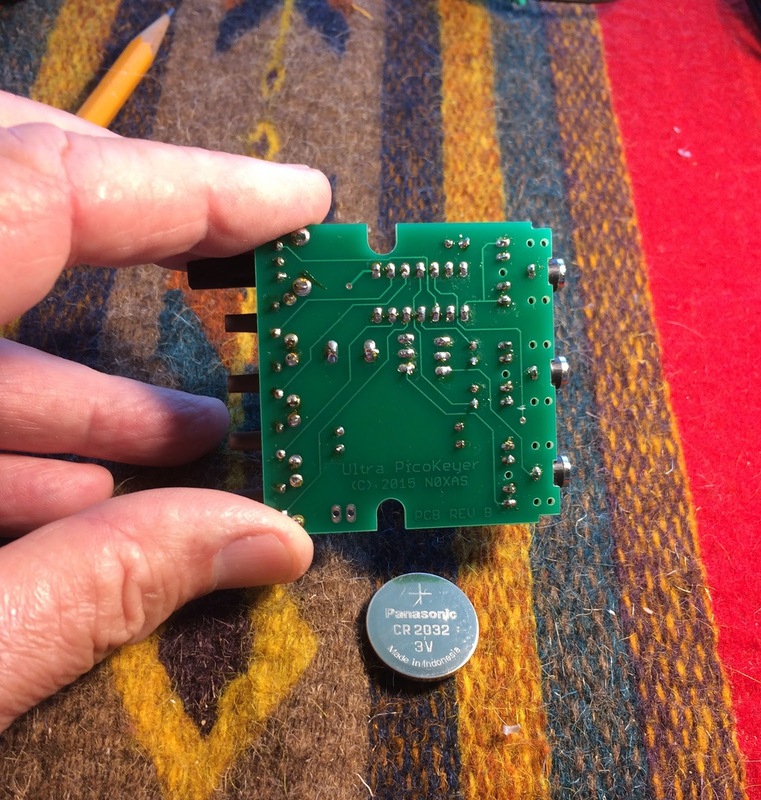 This is a neat little keyer.